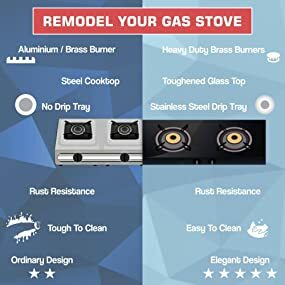 Buy Eveready TGC2B Glass Top 2 Burner Gas Stove – Black @ 60% Discount. 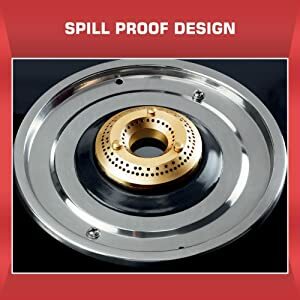 Spill proof design ensures easy cleaning and maintenance. Eveready 2B gas stove comes with stainless steel drip tray to gather spills and overflows while keeping the cook top clean. 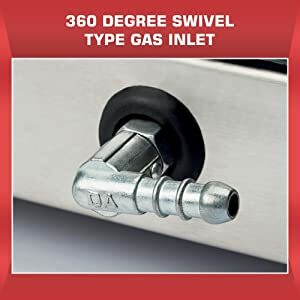 This gas stove is equipped with 360 degree swivel type gas inlet enabling you to place the cylinder on any side as per your convenience. 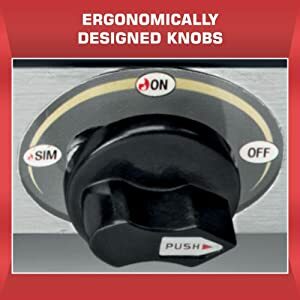 The knobs are designed to provide comfort and safety while cooking. With two ergonomic knobs, one can easily adjust the flame and heat of the burners. Featuring a premium finish toughened glass top, the Eveready gas stove delivers long-lasting performance for years. 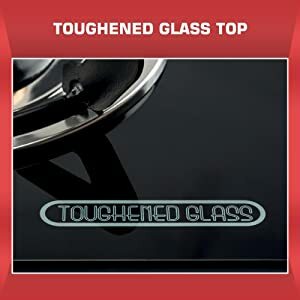 The glass top is highly durable and offers a rust resistance texture while adding a touch of elegance to your kitchen. 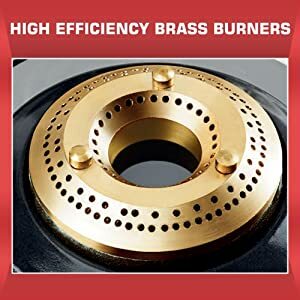 This gas stove is outlined with 2 highly efficient brass burners that allow you cook various dishes simultaneously and quickly while consuming lesser LPG. The burners have manual ignition function so you need a lighter to ignite the burners. Powder coated pan supports are known for durable finish standards, reliable performance and rigid construction. Moreover, it prevents the pan from chipping off while providing splendid care. Sleek finish and rugged build for hassle-free cooking with TGC 2B. Spill-proof design for easy cleaning. Note: Incase of any issue with the product, kindly contact brand at 1800 102 4041. Engineer will visit the site within 48 hr – 72 hr and resolve. 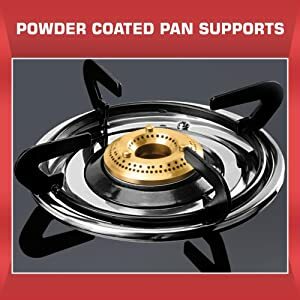 Best Cheap Deals For Eveready Microwave Ovens & OTGs, Grab Cheap Eveready TGC2B Glass Top 2 Burner Gas Stove – Black Online.